When you’re trying to find somewhere to rest your back after a busy day, try out these three chairs. We consider them three of the most ergonomic items in our store that are guaranteed to make your life just a little bit easier and more comfortable too! The Howda Seat is probably one of our most unique items. Based on an old design that nearly went extinct, the chair was originally used for rumble seats of the first motor cars. Today the slogan of the Howda Seat company is “It Feels Like a Hug.” The unique design is great for kids and events like sporting games. In fact, these chairs were originally used as seats in the Big Top Circus during the 1920s! It truly does feel like a hug and is great to bring along on picnics or trips to the park. The ergonomic design of the Howda Seat has been implemented in order to help benefit children in grade school who struggle with developmental disabilities because of its tactile and supportive architecture. The Wilderness Recliner chair features Back Comfort technology that allows you to be comfortable no matter what recline position you are using. 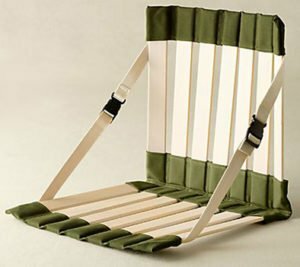 This chair also has backpack straps which make carrying it easy. That way you went get sore arms when you have to hike a mile in to get to the beach (and then back again to get to the car!). 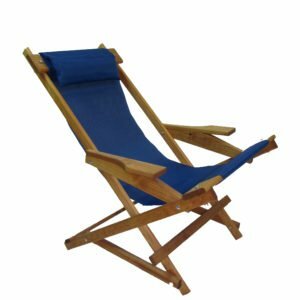 Having a chair like this on a family camp out can be a life saver when Grandpa decides to come along! We even offer custom imprinting services so that Grandpa can have the chair all to himself and get that back rest that he really needs! Just go to our website to see. We can put names of family members, sports teams and much more on this chair for a small imprinting fee.